le chaudron de vulcain – April 03 , 2018. EN. Piton de la Fournaise , Sabancaya , Yellowstone , San Cristobal . Home / blog georges Vitton / April 03 , 2018. EN. Piton de la Fournaise , Sabancaya , Yellowstone , San Cristobal . The volcanological observatory of Piton de la Fournaise records since 5h50, Tuesday, April 3, 2018, an increase in the number of earthquakes of increasing intensity as well as persistent deformations at the top of the volcano. An eruption is therefore likely in the near future. 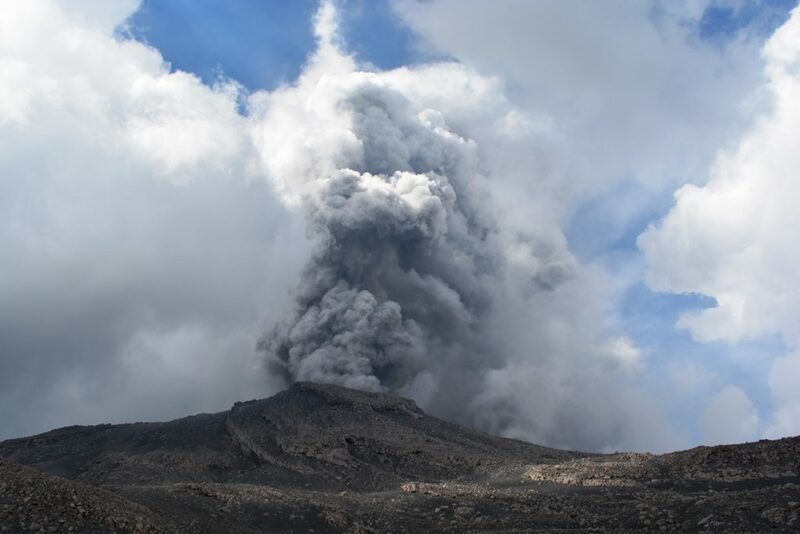 Under these conditions, the prefect of Reunion decided to trigger the alert 1: « probable or imminent eruption » of the plan ORSEC * Volcano, from this Tuesday, April 3, 2018 at 6:00. 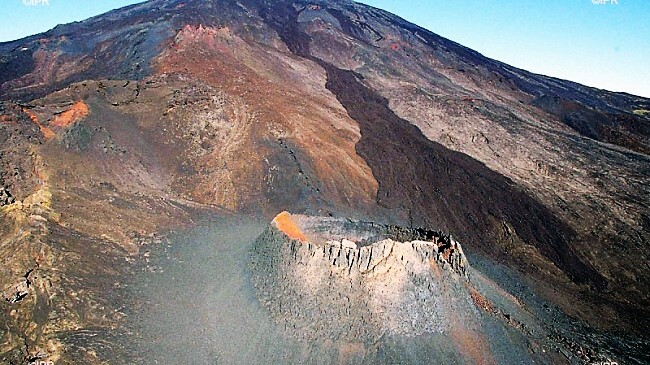 As a result, public access to the upper part of the Piton de la Fournaise Enclos , whether from the Pas de Bellecombe Trail or from any other trail is prohibited. 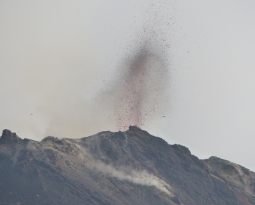 It is recalled that the landing of aircraft in the area of the volcano is regulated and subject to authorization from the Prefecture. The National Gendarmerie and the National Forestry Office have been charged with ensuring the application of these security measures on the site. Six thermal anomalies were recorded according to the MIROVA system, with values ranging between 1 MW and 22 MW VRP (Radiated Volcano Power). 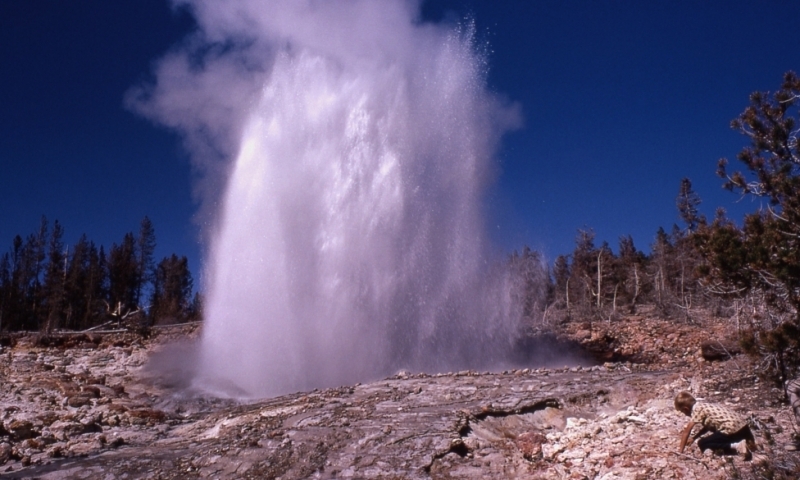 On March 15, at about 5:30 AM MDT, Steamboat Geyser (widely acknowledged as the tallest geyser in the world), in the Norris Geyser Basin, erupted for the first time since 2014. Based on seismic data, the geyser eruption was smaller in magnitude than its 2013 and 2014 eruptions, but it was still sufficient to deposit small muddy clasts around the vent. In other news, we are pleased to announce an opportunity for the public to meet YVO scientists! On Monday, May 7, at 6:30-8:00 PM MDT, a public forum will be held at the community center in Gardiner, Montana. The session will feature a short panel discussion with scientists from different YVO member institutions, followed by an open question and answer period during which visitors can interact informally with YVO scientists. 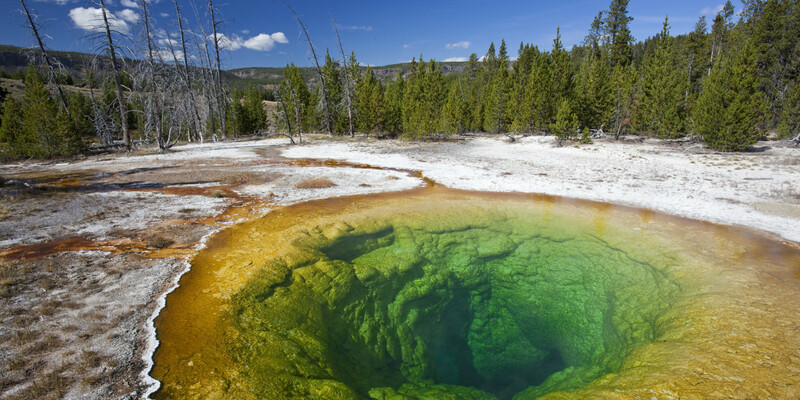 During March 2018, the University of Utah Seismograph Stations, responsible for the operation and analysis of the Yellowstone Seismic Network, located 97 earthquakes in the Yellowstone National Park region. The largest event was a minor earthquake of magnitude 2.2 located about seven miles northeast of West Yellowstone, MT, on March 18 at 05:30 AM MDT. Swarm activity continued in the area northeast of West Yellowstone, MT, but at a much lower rate than last month. March saw the addition of 29 earthquakes to the 742 events that were located in February. The March swarm activity added two earthquakes in the magnitude 2 range (including the largest event of the month on March 18) to February’s 80 earthquakes in the magnitude 2 range and three in the magnitude 3 range. A second swarm of 26 earthquakes occurred on March 11 about 9 miles north-northeast of Old Faithful, WY. The largest earthquake of that swarm, a magnitude 1.8, occurred at 05:35 AM MDT on March 11. Earthquake sequences like these are common and account for roughly 50% of the total seismicity in the Yellowstone region. Yellowstone earthquake activity has returned to background levels. Deformation patterns typical of the past few years continued through March. GPS stations in the caldera are subsiding by a few centimeters per year, and the GPS station near Norris Geyser Basin continues to uplift at a similar rate (this uplift was interrupted by a few-week period of subsidence in early-mid December 2017). 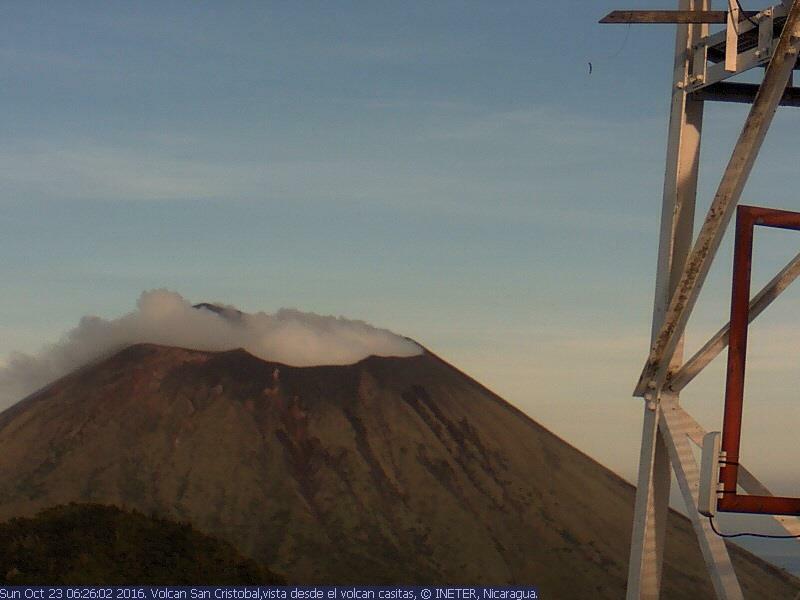 Slight increase in activity in the crater of San Cristobal volcano. 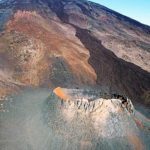 According to records published by Ineter, the real-time seismic amplitude that measures movements in the crater of the volcano has increased to 110 units. The crater of Nicaragua’s highest volcano, San Cristóbal, has slightly increased its activity in the last hours, although an impending eruption has been ruled out, the Nicaraguan Institute of Territorial Studies (Ineter) reported today. The San Cristobal, 1745 meters above sea level, « maintains a volcanic tremor slightly above normal, » Ineter said in a statement. 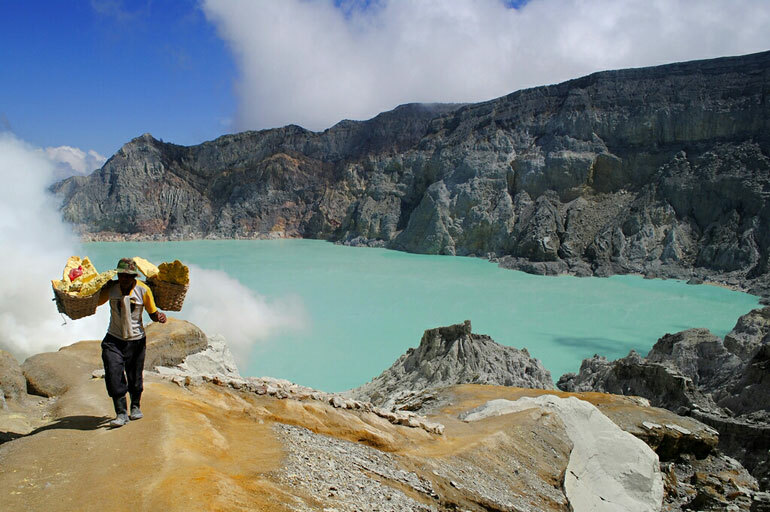 According to documents published by Ineter, the real – time seismic amplitude (RSAM), which measures movements in the crater of the volcano, has increased to 110 units, an amount 10 units higher than that recorded regularly. Although the difference in RSAM units seems considerable, the movements inside the crater have sometimes exceeded 500 units in recent years without the San Cristóbal having experienced a large eruption. 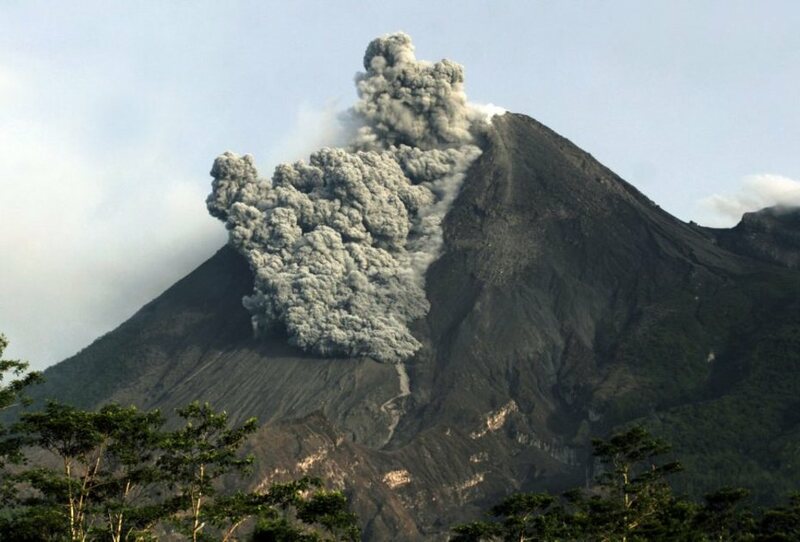 Ineter said the volcano does not show any visual changes that indicate greater activity. The San Cristóbal is located in northwestern Nicaragua, and is part of the volcanic mountain range of this Central American country. Source : El Nuevo Diario. 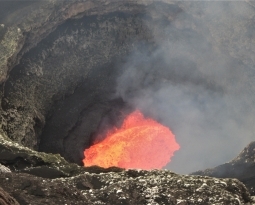 Étiquettes : Blog Georges Vitton, etats-unis, la réunion, Le chaudron de vulcain, Nicaragua, perou, piton de la fournaise, Sabancaya., San Cristóbal., Yellowstone.